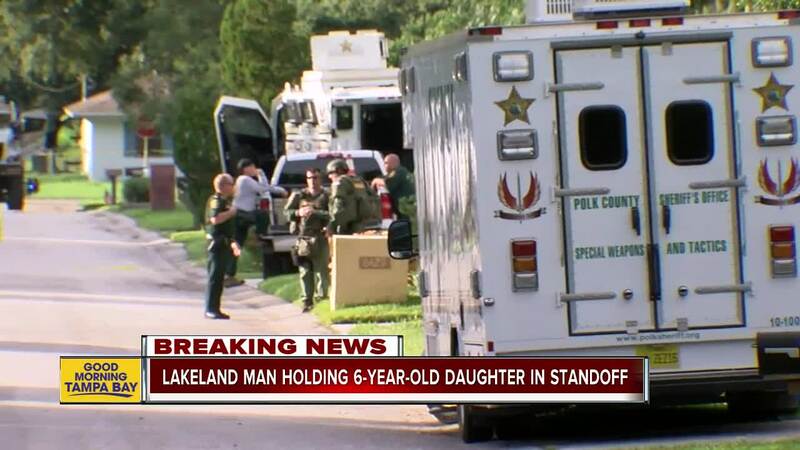 LAKELAND, Fla -- A 24-hour standoff ends in Lakeland with a 6-year-old child safe and the father of the dead. Heartbreak for the family of the man behind a long and tense 24-hour standoff. Deputies say the standoff ended with Gary Cauley turning his gun on himself. 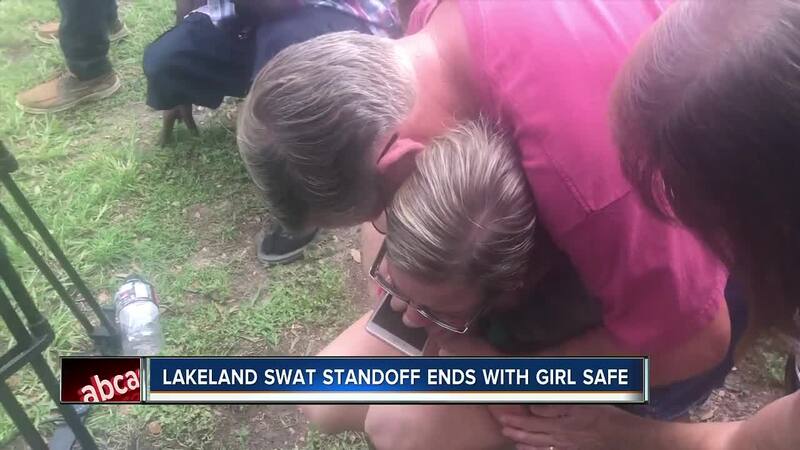 Cauley’s sister collapsed at a news conference after learning straight from Sheriff Grady Judd what she already knew to be true. “We heard the tear gas going in and it was popping and then I heard the gunshot and I knew he was dead," said Brandy Cauley. Forty minutes before that moment, Cauley was barricaded in the closet of a bedroom with his six-year-old daughter. They fell asleep in the closet -- leading to five hours of total silence which worried negotiators. At 1:00 p.m. Cauley told negotiators over the phone he would let his daughter go. Twenty minutes later he did just that. 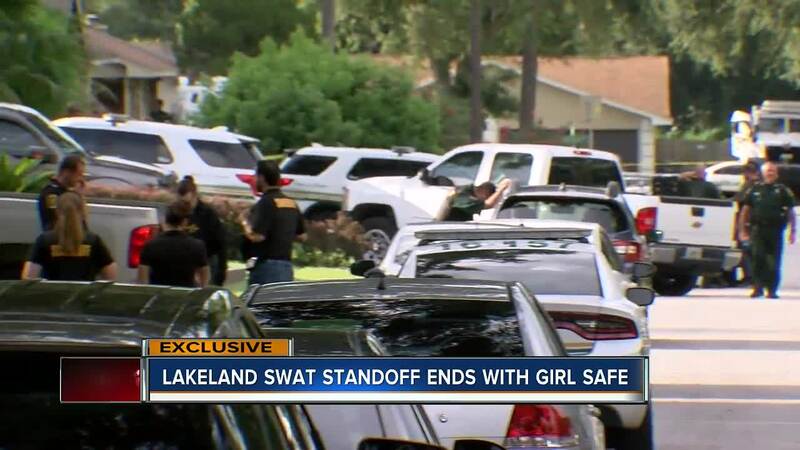 Out camera captured the moment of relief as SWAT took the child far away from the home. The Sheriff revealed Cauley’s chilling final words to his daughter. The child shedded further light into her father’s mind during his final hours. 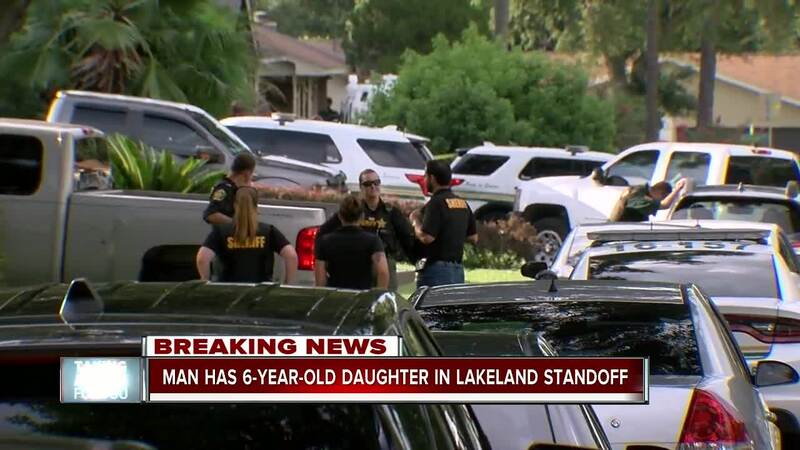 “She said she wasn’t afraid but her daddy was shaking all night," said Sheriff Judd. "He was walking around in the house all night long and all evening with a handgun." Negotiations took a turn for the worse after Cauley let the girl go. The SWAT team sent in a robot to communicate with Cauley who was still in the closet. But after he refused to leave, deputies s broke windows and threw in tear gas. At around 2:00 p.m., deputies say Cauley walked to a front window and pointed his gun between his head, chest and mouth before finally pulling the trigger. Brandy Cauley spoke with her brother through the standoff and says he told her how he intended this to end. “That he wasn’t going back to jail. That he was going to kill himself or suicide by cop," said Brandy. Her brother had an extensive criminal record with 14 felony charges and an arrest warrant out for domestic violence. Brandy says her brother had a good heart but was mentally ill. She said they lost their own mother to suicide this past year and combined with a toxic relationship, she believes it pushed her brother over the edge. “He wasn’t a horrible person. He was loved very much," said Brandy. "We tried to help him. We tried to help mom and it’s just devastating for the whole family." Brandy has not been able to see her niece. But seeing our video of her niece safe in the arms of a deputy is the only part of this ending that brings her comfort. The girl and her mother, Aime Cauley, have not yet been reunited because officials with Florida’s Department of Children and Families need to speak with the girl first. The Cauley family pleading with other families to check in on their loved ones and make sure anyone in need gets mental health treatment. The number to the National Suicide Prevention Lifeline is (800) 273-8255.